As 2011 draws to a close, technology pundits want to make you sure know how terrible 2012 could be for Apple. That's so sweet of them. It's like that crappy little calendar that dry cleaner you used once sends you every year that you throw out. Meanwhile, Android enjoys some fluffing! Does anyone think Enderle—Rob Enderle of the Enderle Group and the Moustache Club for Men, whose client list reads HP, Dell, Microsoft, and on down to Joe's PC Shack in Sarasota, Florida—has contacts inside Apple, or the Apple community, or even anywhere within the court-mandated 300-yard berth that he has to give every Apple Store that actually give him information? You know that Christmas carol about the ghosts who show the guy how bleak everything is but it wouldn’t have to be that way, if only he’d be nicer? The Macalope thinks it was called “The Holiday Special About The Mean Guy Who Became Nice, Starring Patrick Stewart.” Anyway, this isn’t about that. No, instead it’s about another fetid piece of fruit cake over at Business Insider, this time about what would happen to Apple if it stopped being Apple and instead was stupid Apple. As always, the house policy chez le Macalope is no links for Business Insider, and this time it’s a public service, as this tripe shouldn’t be viewed by anyone with high blood pressure. Come to think of it, Business Insider could just be retitled that. It’d be more accurate. Is the “Insider” part supposed to reflect that this is all inside Blodget’s fevered dreams? Ugh. OK. Let’s pull a few quotes. That is what the Macalope gets paid for, right? Wait, is that it? Or is it to just sit around in suits and look good? Because being the Macworld eye candy would be less annoying than having to read Business Insider. And the Macalope’s not above being treated like an object. Heck, he’s practically a cartoon anyway. Well, he’ll take that up with his editor. In the meantime, let’s get stupid. 6?! What happened to 5?! Talk about moving the goal posts. Heck, as long as we’re just making things up about a thing that doesn’t exist yet, let’s really go to town! Holiday-style! Re-jigger their wack-doodles and zin-zinger their zang-zungers! Ugh, look, let’s just zoom through the rest so that you can get back to something more enjoyable, like wrapping presents or fighting your way through a crowded mall or fighting your way through a cave full of angry bears. Only Steve Jobs can hire good people. On the other hand, we lived with Mobile Me for years and the company did pretty well. In other words, throw the company’s policy toward capital management out the window. Sure! That could totally happen! Seems like Business Insider’s fantasies all come in one flavor: Apple Is Doooooomed Crunch. Because market share is more important than profit. Somehow. 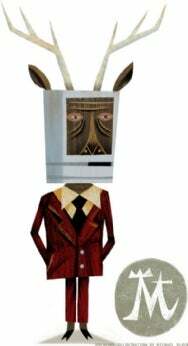 The Macalope likes Apple’s odds on this versus those of any other company. Calling anything a “BONUS” on this list is just adding insult to injury. You see this a lot: the mystique of the very large number. Now, the Macalope's sure you see it in reference to Apple, too. Certainly in reference to the number of apps or songs downloaded or their cash reserve or the number of bowling balls Bob Mansfield has crushed to dust with his massive hands in shows of strength meant to terrorize hardware executives at competing technology companies. But with Android's meteoric growth, a lot of people have let the lust for numbers run away with them. But as far as I can tell, the 700,000 number isn’t good for Android. It’s bad. It means that Android activation growth has slowed dramatically, by almost a factor of three. Technology coverage Barbie says "Math is hard!" Seems kind of obvious, though, even for a technology journalist. A year ago they were activating 300,000 a day, six months ago it was 500,000 and now it's 700,000. Sure, Android continues to grow, but the slope of the curve is flattening. Appitalism CEO Simon Buckingham predicts that, by the end of next year, daily activations could reach an astronomical 2.5 million per day — a run rate of more than 900 million a year. 2.5 million a day? Sooo, Android activations, which increased by an impressive 133 percent over the last year but have started to slow, will somehow have increase 257 percent by next December. It's a little odd that AllThingsD's Ina Fried doesn't mention that Appitalism is a site that sells apps for "open" platforms like Android and that it's in Buckingham’s interest to inflate the image of platforms anyone with a penchant for technology puns can make a store for. Not surprisingly, he also downplays Windows Phone 7. It's not just the activations, though. A couple of weeks ago, the Macalope noted the oohs and aahs and misreportings about Google's $2.5 billion a year run rate in mobile revenue. And now, we’re seeing the rampant misreporting of sales of 1 million Kindle devices a week as just sales of the Kindle Fire which, as we know, isn't really "Android" but one member of the Android family of platforms. It's like a holiday ear worm. People hear "Android is selling like crazy!" and can't help but repeat it, over and over and over, long after it stops making sense. Well, here's hoping you get something catchier stuck in your head tonight. Happy holidays from the Macalope.